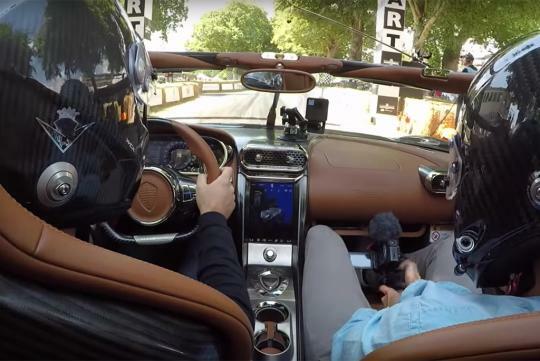 A YouTuber got to drive one of the Koenigsegg Regera at the Goodwood Festival Of Speed. Watch the video to see how it drives like. With a hybrid powertrain consisting of a twin-turbo 1,100bhp 5.0-litre V8 and three electric motors that make 700bhp, the hypercar is rated at 1,500bhp and all that power goes to the rear wheels only. Making things even more special is the car's Direct Drive which was designed by Koenigsegg to minimise energy losses that normal cars with normal gearboxes deal with. By just making do with one fixed gear ratio, up 50 percent less energy could be saved when power get channelled from the engine. Despite having only one gear ratio, the car is able to do 0-400km/h in under 20 seconds and will do 0-200km/h in 6.6 seconds. Koenigsegg has sold out all 80 examples of the 1,628kg Regeras.